It's an honor to be able to create music with other musicians from around the world. It has made me a much better player, especially since their skill levels exceed mine! 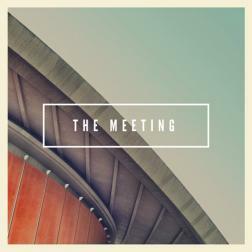 I titled this album "The Meeting" largely because the track that shares the same name is my favorite of the bunch. But that title also works on a different level since these songs represent a worldwide virtual meeting of musicians. These songs feel like a cohesive unit to me. They have a similar feel for a few reasons. First, the majority of the songs feature vocals by aleonz. What a tremendous talent! Another reason is because many of the song templates were created Marceys, who has a seemingly endless supply of creativity. Lastly, dafunkydrummer and mpointon provided drums to every track. These guys are a bass player's dream team. To everyone involved in the creation of these tracks, thank you for contributing! Stef, jmrukkers, FrankieJ, Tofzegrit, Fishinmissio, and titi: you guys are tremendous players! To the listeners, thank you for taking the time to check out this album! J ! Excellent Groove ! Bass is one instrument that pulls my attention, and Jason you are one of my fave bass player in loops, never failed to draw that tasty line on the track with your tight & steady play you gives a very excellent groove to the song you play. I always enjoy listening to your track, and I'm so happy to be part of this album, which show case some of many wonderful track you did here. so good to hear you hammered those track in your very cool ways. looking for more great track from you J ! Wonderful collection of tracks here from Jason. One of my favorite bass players on the loops. I am honoured to be included here. Cool tracks with a cool bass! This is a great collection of tracks! Your bassline's are grooving real good! Thanks for making this cool album and i am honoured to be involved in so many of the tracks you have sellected! Let's make some more cool music! Great collection of your contributions here Jason and yes, this place makes us better !! The Bass Player's Bass Player! An honour to be included (and mentioned in the same sentence as DfD - wow!) on this superlative album showcasing James's impeccable feel, wonderful groove and uncanny knack for getting into the mindset of a song. It's a great pleasure to listen to these fantastic tracks fruit of the collaboration of great musicians from all over the world. I never get tired to say that this is a miracle of which I will be forever grateful to WL. Jason you are a beautiful reality, a refined and prepared bass player with a great sense of phrasing and sound. I'm really happy to be present in this your wonderful album!